Stranded awkwardly between innocent fantasy adventure and the more knowing cleverness of ‘The Princess Bride’, Bryan Singer’s fairy tale reboot is a simple coming-of-age story writ large. A mash-up of old-school heroism, pantomime villainy, starstruck lovers and post-‘Shrek’ archness, it’s more exhausting than exhilarating. 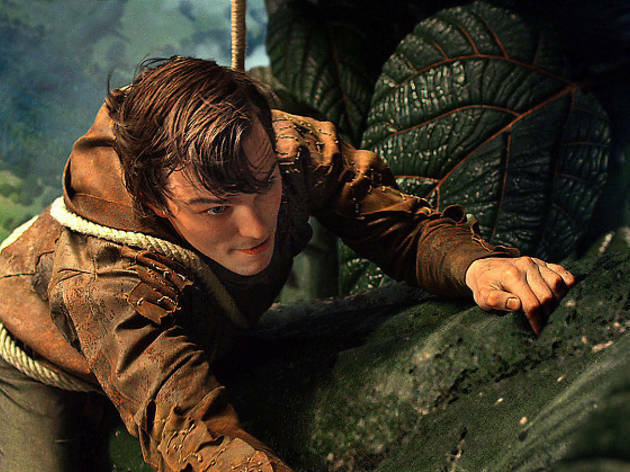 After innocently trading his horse for a handful of beans, orphaned farmhand Jack (Nicholas Hoult) falls for a tomboy princess, Isabelle, (Eleanor Tomlinson) and sows the seeds of the kingdom’s destruction. 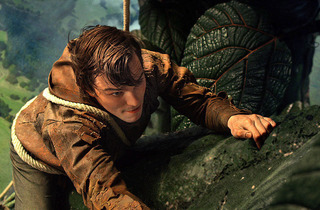 After seeing his house and true love hoisted skyward on twisted tendrils, he joins a rescue expedition to a realm above the clouds, where giants bite off human heads. Jack’s hero and mentor, commander Elmont (Ewan McGregor), is fearless when faced with the two-headed General Fallon (Bill Nighy) and his army. Yet he and Jack underestimate scheming Roderick (Stanley Tucci), whose hatred for his fiancée Isabelle is matched only by his love of power. There’s no denying Singer has created a seamless and sporadically entertaining 3D spectacle. But when the adventurers fall back to earth with a bump, and the climactic action cranks up for yet another battle, the sound of grinding cogs is even louder than the myriad explosions. The Time Out rating of 2 stars is very unfair. I went to see this film yesterday in 3D with my children and we all enjoyed it very much. Hoult and Tomlinson's acting could have been better but the everyone else's acting was excellent. The storyline/plot was somewhat predictable but the special effects were absolutely incredible.